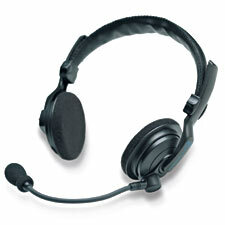 If you're looking for a lightweight, very reasonably priced headset, the F20 aviation headset is the perfect solution. Great for Flight Simulation Training! If you're looking for a lightweight, very reasonably priced headset, the F20 Aviation Headset is the perfect solution. Audio compatibility with any intercom. And the rounded foam ear cushions make it easy on the ears. So lightweight you'll forget you have it on. The foam cushioned ear pads are soft on the ears. Not bulky or awkward to use. Manufactured using extremely lightweight materials. Sounds terrific with music. Adjustable flex boom allows you to position the microphone right where you want it. Ear pads fit snugly over ears with gentle cushioning. You have nothing to lose with our 30-day Satisfaction guarantee. Satisfaction guaranteed from ear to ear. One year manufacturer's warranty. Here is a general outline on Choosing the Right Headset for You.